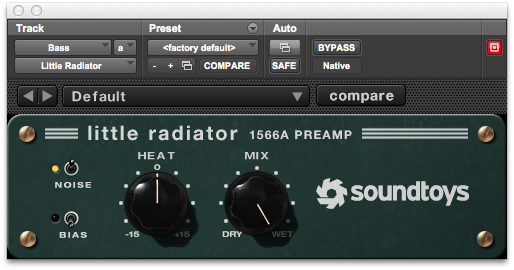 Inspired by Russ’ article 10 Free Pro Tools Plug-ins Every Guitarist Should Try I thought I might see what was on offer for bass players. I’m not talking about EQ and compression here but bass distortion. Over the last few years I have gone from almost never using distortion on bass to almost never leaving a bass track clean. 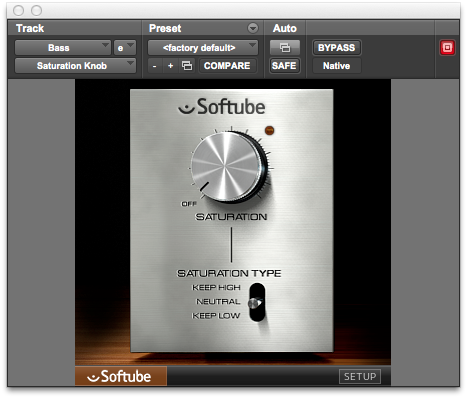 I’m not talking about Muse style fuzz here but gentle saturation effects. I have found this to be a very useful treatment for bass as introducing some distortion generates additional harmonics and can have the effect of raising the apparent level of the bass without actually turning it up by giving the ear extra information above the fundamental. Its possible to use surprising amounts of distortion on a bass track without the effect being one of distortion as much as gelling with the rest of the track. As with so many things context is everything. 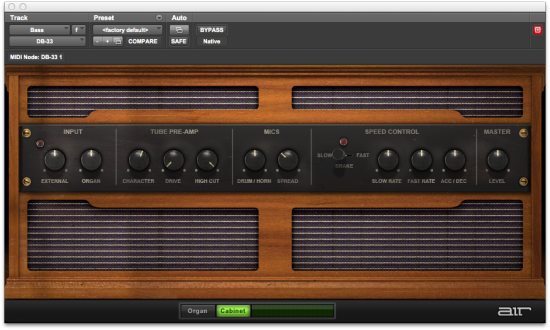 The thing I look for in bass distortion is a sense of integration with the original clean sound. 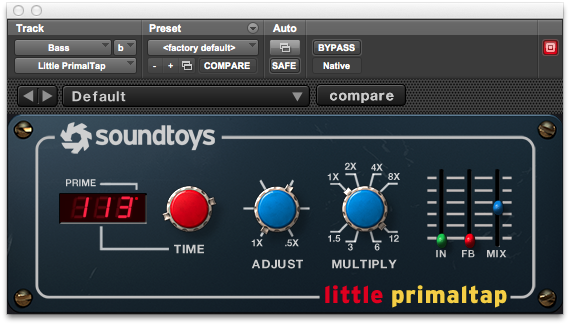 This is highly subjective but the least successful plug-in distortions I have heard have a sense of being stuck on top of the original sound rather than being a part of it. 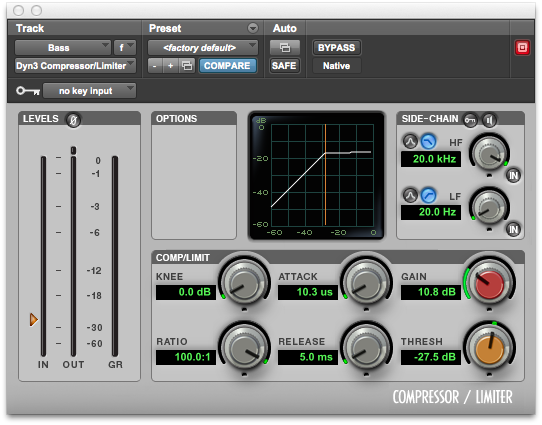 Additionally increasing distortion should be accompanied by a reduction in dynamic range and this compression effect makes a significant contribution to the overall feel of the effect. At the end of the day there is no good or bad here, just personal preference but the striking thing about all of these plug-ins is that they all sound different and some dramatically so. I restricted my choices to free AAX64 plug-ins. Some of these plug-ins were only available for a limited time. I did not include plug-ins with unlimited demo modes (for example Massey plug-ins) as they are not strictly speaking free. To hear examples watch the free video. Originally included to make up the numbers - I’d tested nine, ten is so much neater, this little-used by me (actually possibly never used) plugin is surprisingly flexible. A real favourite of mine, in this application just use the distortion and saturation controls. The biggest strength of this plug-in is its simplicity, no danger of endless tweaking here. While I couldn’t get this to stand up on its own, in conjunction with a DI track Eleven Free offers useful amounts of grit and clank. Dirty, squashed and never brittle Devil-Loc goes further into filth than most. 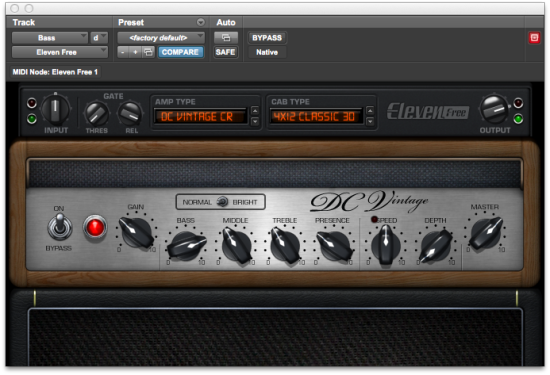 Combining tube overdrive and a pronounced cabinet resonance, putting bass through a leslie sounds decidedly vintage. Using inappropriate settings can produce abrasive buzzy tones if that’s what you need. 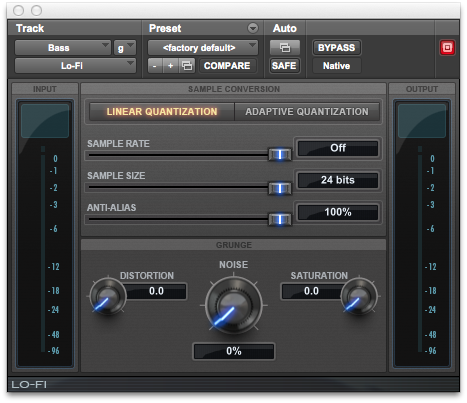 A lot of people’s first choice, although there are alternatives there is no denying that SansAmp sounds great on bass. Although its a delay, Little Primaltap overdrives in a distinctively aggressive way.